We are excited to invite you and welcome you to the study and practice of the profound art of AIKIDO! To encourage you to get started and try AIKIDO, we invite you to join us as a regular full time new student, and to train for the first month for FREE. We are not asking for any other commitments, to go with this. The SUNSET CLIFFS AIKIDO training hall, or dojo, has been here for 34 years, offering a strong personal connection to the early roots and the heart of AIKIDO, with a richness of tradition, depth of knowledge, and experience. We, who train here, find SUNSET CLIFFS AIKIDO to be a sanctuary of warm friendships, quiet peace, and constant challenges to self improve. At present, we have students from age seven to well into their seventies. You do not have to be young, large, strong or athletic to enjoy and grow, with AIKIDO training. In training, you will rehearse tested ways of using energy and motion, to be centered and in control, in a physical conflict scenario. People report that this harmonious centered feeling translates into their personal relationship and social interactions, their personal health, and their success. 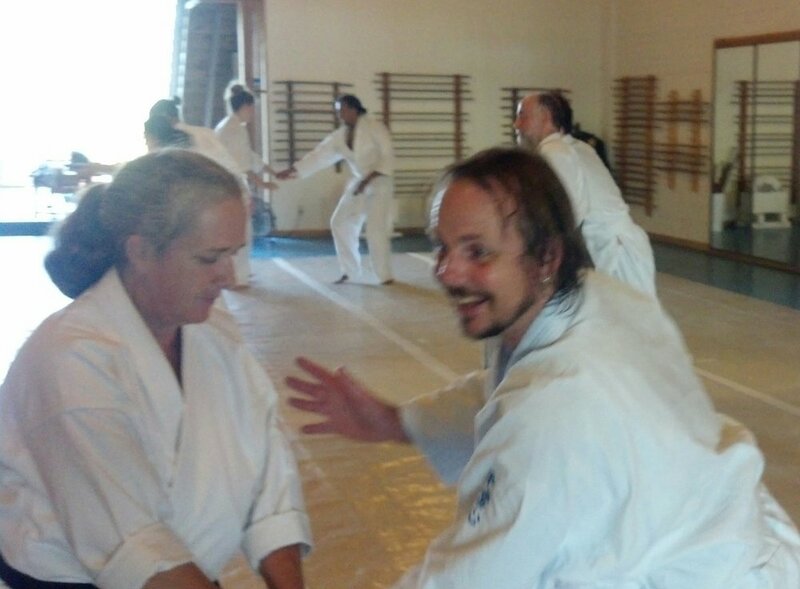 AIKIDO is a slow, a lifetime process. Yet, we dare say that you will experience the benefit, starting from DAY ONE. Have you been wondering what you could do to enhance yourself as a person, and make your life more meaningful? Perhaps you have found it. Please check our schedule and then come by. You can sit on the bench and observe the class any time. See if it seems right for you.